Camping is a fun, affordable and easy way to escape outdoors with your family. But nothing can ruin a wilderness weekend like forgetting an essential piece of gear. We've assembled the following go-to checklist of family camping essentials to make sure you're well-equipped for your outdoor adventure. We've also included additional items to consider if you're camping with an infant or in extreme weather. 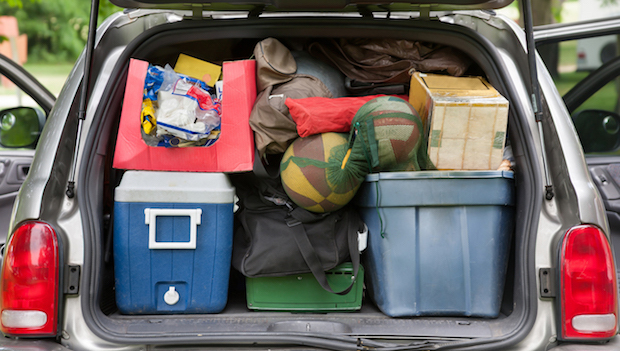 Keep these lists handy when you head out on your next family camping trip, so you can be sure you haven't missed a thing. For more information, tips and recipes check out our Beginner's Guide to Family Camping. Kim Dinan is an author and adventurer. Her writing has appeared in Parks and Recreation Magazine, Northwest Travel Magazine, Trailer Life Magazine, Go Explore Magazine and OnTrak Magazine, among others. Her popular blog, So Many Places, was named one of the best outdoor blogs by USA Today and has been featured online by sites such as Huffington Post and BuzzFeed. Her debut memoir, The Yellow Envelope, chronicles her adventures traveling the world with a special gift. She lives in Ohio with her husband and daughter.